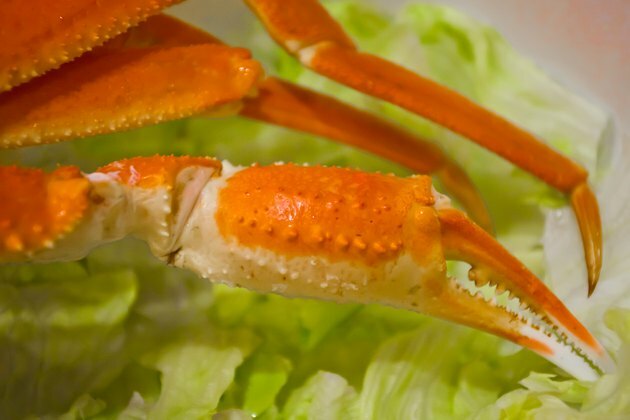 Consumers in the U.S. can purchase live crab for cooking at home or precooked crab legs and claws. Producers who supply food retailers with crabmeat, legs and claws sold in the United States often cook and freeze them prior to shipping. When this crab arrives in your grocery store, it is ready to eat as is, but you may reheat your precooked crab, using a number of methods. This lets you add seasonings of your choice and enjoy juicy, hot crab with the condiments you prefer. Place the crab in the top basket of a bamboo steamer. 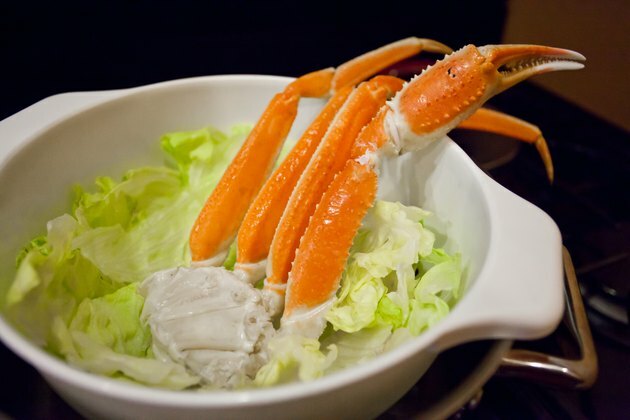 If you are cooking small crab legs, crabmeat or claws that might fall through the slots, line the basket with lettuce leaves before you put in the crab. Set the wok on the stove burner. 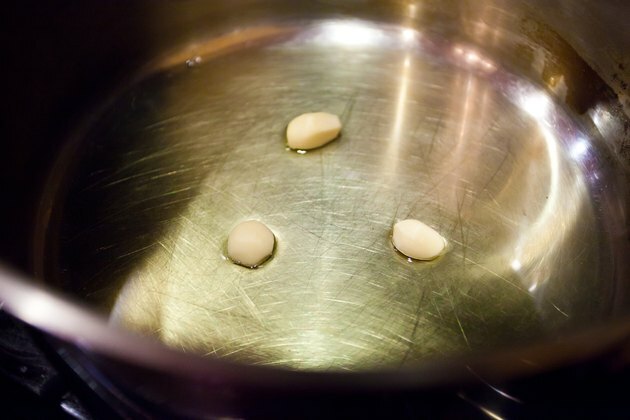 Pour 1 to 2 inches of white wine into the wok and add two or three peeled garlic gloves. Set the steamer on the wok, close the top basket with the steamer. Turn the stove burner to medium. Steam the crab for 10 to 15 minutes to infuse it with your seasonings. 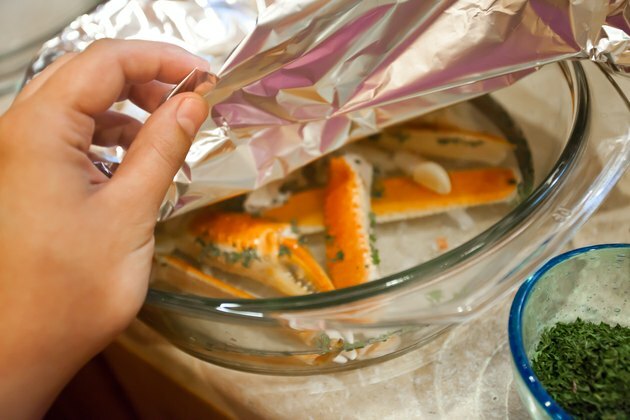 Break or cut crab legs if necessary to make them fit into a glass baking dish. 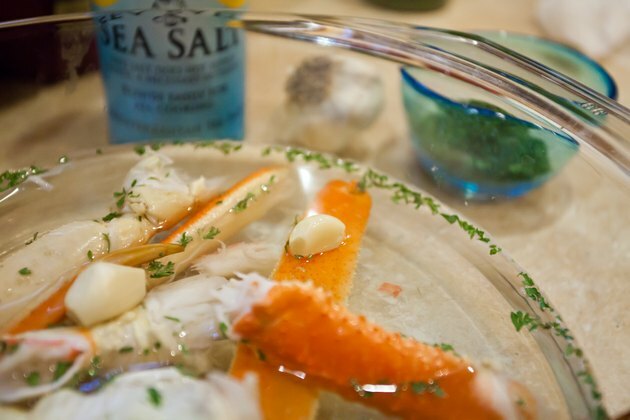 Put the crab, a cup of white wine or water and two peeled garlic cloves to a microwave-safe glass dish. Add any additional seasoning of your choice, such as prepared seafood boil, if desired. Cover the dish and microwave the crab on high for 2 to 3 minutes. 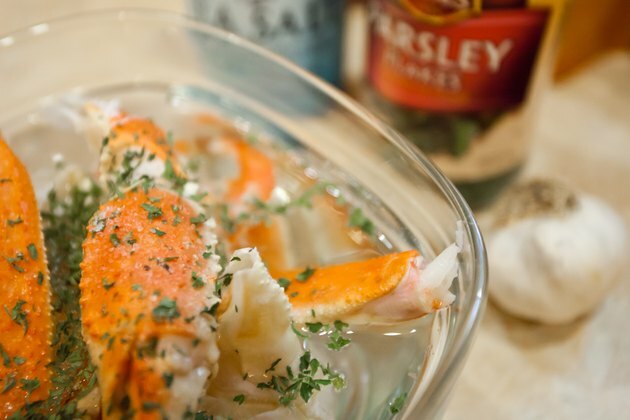 Preheat your oven to 350 F. Put crab legs or claws into a glass baking dish with pickling spices, two to three peeled garlic cloves and other seasonings of your choice. 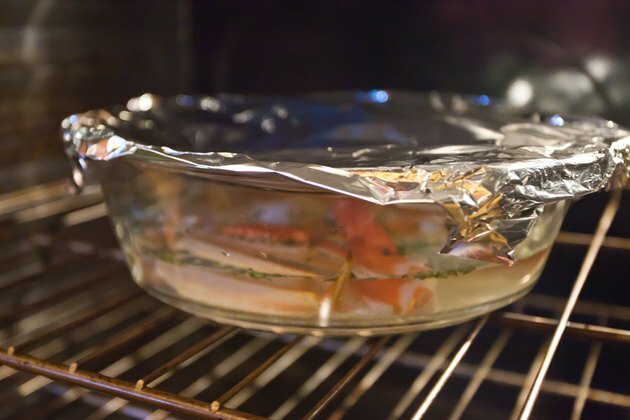 Add 1/2 inch of water to the baking dish and cover it with aluminum foil. Poke several holes into the foil with a knife to allow steam to escape. Put the dish into the oven and allow the crab to steam for 15 to 20 minutes. 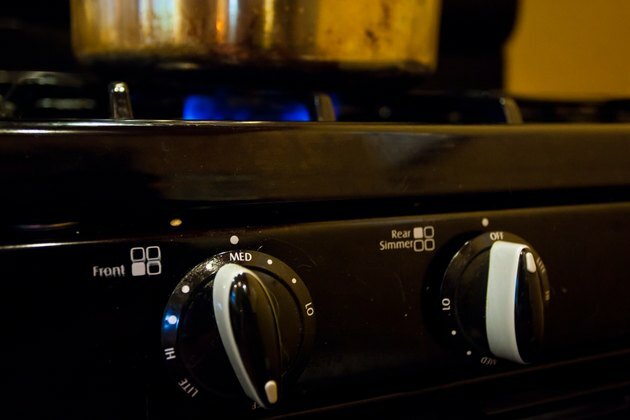 Remove the foil carefully when done to avoid a steam burn. 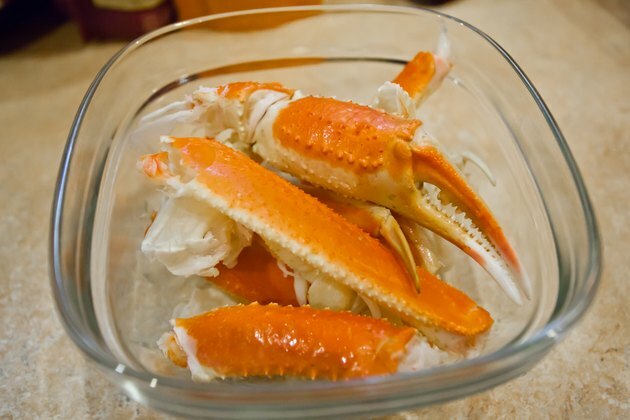 Cut crab legs and claws with kitchen shears before you reheat them to make them easier to eat after cooking. Thaw and marinate crab overnight in the refrigerator for a more flavorful dish. 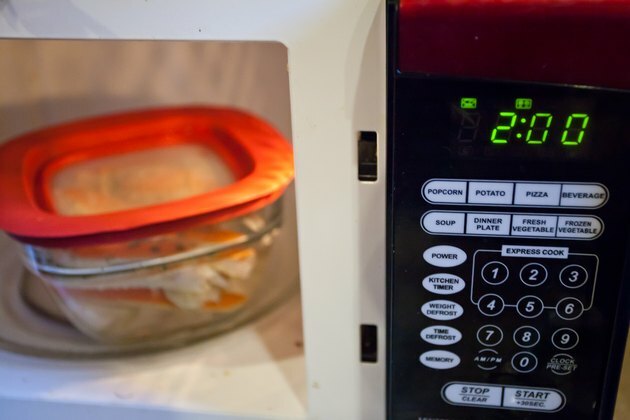 Since microwave power capacity varies widely, you may need more time for the crab to reach serving temperature.